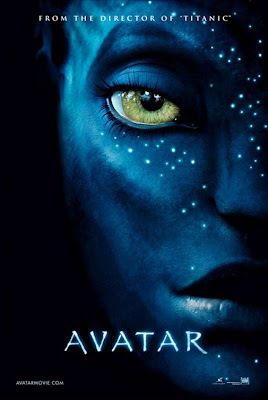 At long last, the film “Avatar” has arrived. From the critical acclaim this movie is generating it would seem that the cinematic equivalent of the Second Coming has taken place. I personally have long had an immunity to hype, so am looking forward to what will at best be a good movie and at worst a chance to sit in the dark and eat Sour Patch Kids and popcorn. Part of what makes me excited about “Avatar” is the possibility it might offer a glimpse of what a really good “John Carter of Mars” movie could look like (that’s the movie I’m waiting for!). “Hollywood keeps returning to these themes because millions of Americans respond favorably to them. From Deepak Chopra to Eckhart Tolle, the “religion and inspiration” section in your local bookstore is crowded with titles pushing a pantheistic message. A recent Pew Forum report on how Americans mix and match theology found that many self-professed Christians hold beliefs about the “spiritual energy” of trees and mountains that would fit right in among the indigo-tinted Na’Vi. “After thousands of years of ignorance and stagnation, a kind of miracle happened that radically transformed humanity’s relationship to the wider world. This explosion of wealth has been periodically interrupted by war and famine, yet it has never been fully undone. And though it has involved serious downsides, the prospect of returning to a primeval state strikes most of us as insane. Modern life can be exhausting and even demeaning. It is, however, preferable to spending most of one’s waking moments foraging and hunting in a desperate struggle for survival. Reading these columns got me thinking about a few things. First, my impression of the Baha’i Faith is that it does not support the notion that material progress, whether scientific, technological or economic is antithetical to spirituality. Materialism is not the inevitable outcome of modernization and a return to some kind of pre-industrial, back-to-nature, edenic utopia (if this were even possible) is not the answer to humanity’s current problems. It is in finding the balance between the spiritual and material, the practical and the metaphysical that we can save our souls and our planet. “Two calls to success and prosperity are being raised from the heights of the happiness of mankind, awakening the slumbering, granting sight to the blind, causing the heedless to become mindful, bestowing hearing upon the deaf, unloosing the tongue of the mute and resuscitating the dead. A second thought is that abandoning the God of monotheism and embracing nature as an object of worship is also not the answer to the excesses of materialism, or environmental devastation. It is not belief in God that is the problem, but failure to recognize the divine reflected in Nature and act accordingly. “Look at the world and ponder a while upon it. It unveileth the book of its own self before thine eyes and revealeth that which the Pen of thy Lord, the Fashioner, the All-Informed, hath inscribed therein. It will acquaint thee with that which is within it and upon it and will give thee such clear explanations as to make thee independent of every eloquent expounder. I’m hoping to offer a review of “Avatar” and additional comments once I’ve seen it but would love to hear from readers who already have. What did you think of the movie? What do you think its underlying theological and social messages were? Did you agree or disagree with them? You can also read a review of the film from a friend of mine here.